The end of the year has been a real stunner for me recently. Last year I was surprised by the release of The Mission’s Another Fall From Grace at the end of September. I had already written my top ten album list and thought it was set in stone, however Another Fall From Grace was so perfect that it became my album of the year, the title song an anthem for the overall global let down as the album summed up the chaotic feeling of watching the outcome of the 2016 presidential election, as well as the futility of what might be done about it. It was a melancholy statement which summed up a difficult year, including the death of many great musicians. This year it is Lost Horizon’s debut album Ojalá, another great and late arrival, coming at the beginning of November, titled similarly to one of my favorite movies of all time and its wonderful story of Shangri-La. The Bella Union label has been making artist-inspired music for 20 years and I have been a fan since they signed Jonathan Wilson. Jonathan has a new album due on the label next year, as do another of my favorite bands, The Innocence Mission. Simon Raymonde, formerly of Scottish band Cocteau Twins, is the label’s producer and manager, and for Lost Horizons he has teamed up with drummer Richie Thomas, of Dif Juz and who also played with the Cocteau Twins. The duo wrote and performed most of the music on Ojalá and hand-picked some of the best vocal talent on the planet to sing on it: Karen Parris, the voice of The Innocence Mission; Tim Smith of Midlake (who are now also part of the Bella Union starfield); Soffie Viemose, Gemma Dunleavy, Marissa Nadler, Ed Riman, and Beth Cannon. These are vocalists that once familiar with you will want to hear again with their own projects. Fifteen wonderful songs of melancholy fill Ojalá, opening with Bones and the stunning vocals of Beth Cannon, who took me immediately back to Kate Bush’s Sat in Your Lap, only this song is more sultry, better lyrics and a befitting tempo. Add Jonathan Wilson’s synth and what we have is a killer opening. But, it gets even better! My second favorite track here, The Places We’ve Been, features Karen Parris’ lead vocals. I hadn’t heard anything new from her in years, so it was nice to hear her voice again, and more so as this is a very Innocence Mission song which would fit perfectly on my favorite album of theirs, Glow. “Do you ever see the amber sky in the morning. I have seen the amber sky in the morning and her description and feeling for it captures the experience so perfectly. Despite the often-depressing lyrics, Asphyxia, featuring Gemma Dunleavy, is an ethereal wonderland of sound and is just beautiful, so much so I am busy searching out more of her work. In contrast Reckless, written and sung by Ghostpoet, is the least appealing song for me and the only slip-up on a near perfect album. The lyrics “I’m living in a reckless kind of way” become annoying after the second repetition, however they continue throughout the song and at times it feels as though they are the only lyrics. The pounding piano just can’t lift this song and I tend to skip past this track when I’m listening to the album. She Led Me Away, with words and vocals from Tim Smith, perfectly captures the spirit of Midlake’s third album, The Courage of Others. Deep, melancholy lyrics and tones set to wonderful acoustic guitar and strings. It’s so good to hear from Tim again, I hope there will be more from him and Midlake on Bella Union soon. How do you follow such a perfect and powerful song? With Frenzy, Fear and lyrics and vocals from Ed Riman of Hilang Child. Wow! There are so many discoveries on this album, alongside the wonderful talent I already knew. Ed is one of those discoveries I will search out beyond this album. Simon Raymonde’s piano is a great accompaniment. The Tide follows, Phil McDonnell singing what sounds like an homage to the fabulous Peter Murphy. Another great surprise and another of the best tracks on the album. I have been hearing a lot about Marissa Nadler, but have not found the time to listen to her music. Well this album delivered two tracks from Melissa, and I’m so thankful to have finally experienced her voice. I Saw the Days Go By and Winter’s Approaching are wonderful, her voice having a perfect ethereal, echoing sound, like Lana Del Rey mixed with maybe the ladies from Delirium. The piano work on both songs is more than worth the price of admission. Give Your Heart Away is Gemma Dunleavy’s second contribution, the lyrics are deep and create an even more interesting story than Asphyxia. This is one of the loudest tracks here, with more drums and piano than you deserve. Score the Sky is sung by another great find, Liela Moss. 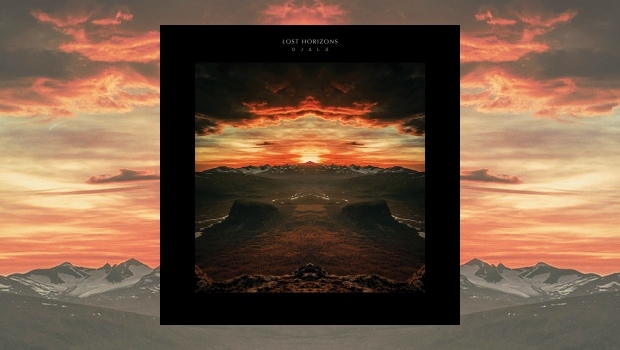 Life Inside a Paradox, sung by Cameron Neal from the band Horse Thief, has a folk rock sound, like David Hosking of Boy and Bear, though nowhere as stunning. Towards the end of the track Cameron begins to repeat the refrain over again to the detriment of the song. Ed Rimian’s The Engine took me back to the early shoegazing/dream pop albums of British band The Engineers. I really must find more music from this talented artist. Stampede, sung by Hazel Wilde from Lanterns on the Lake, sees horn accompanying the vocal as Hazel sings, “Is this a march for peace or a stampede?” Emotionally powerful lyrics delivered with authority and sincerity. Add her to my search list of artists. I am not sure Ojalá will be my number one, but it will definitely be one of my top five albums of the year.